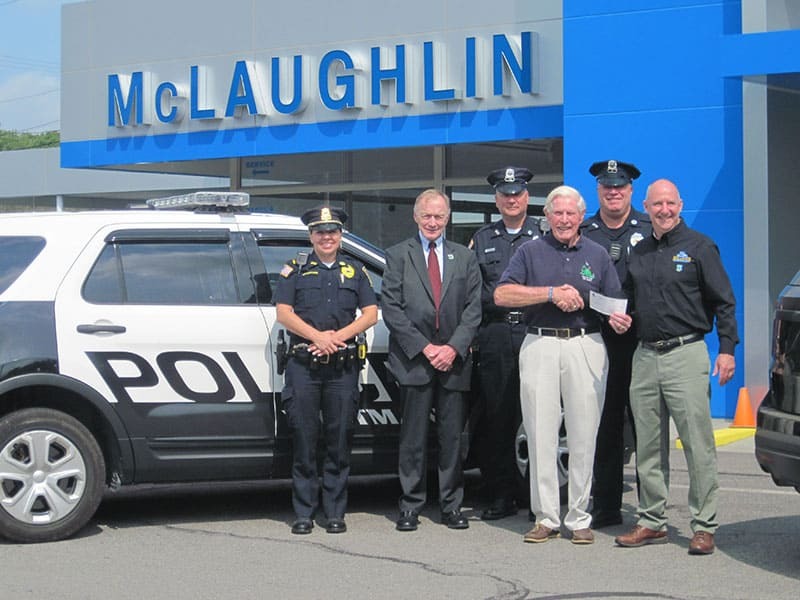 On 8-3-2017, Cops For Kids With Cancer went to McLaughlin Chevrolet in Whitman and received a $5,000.00 donation to CFKWC from Dan Adams, Fleet and Commercial Manager. In photo left to right: Lt. Christine May-Stafford, Whitman PD, CFKWC Chairman, Lt. Det. MSP, Bill Coulter, Officers Kevin Harrington and Chris Lee. Front row Bob Faherty and Dan Adams.